The first product in our range of TRUE COLOURS is called SKIN. 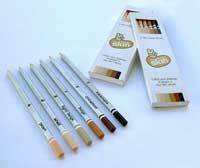 We have designed 6 coloured pencils in skin tones ranging from light to darker shades. 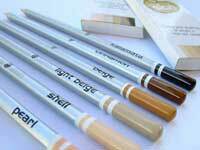 These 6 pencils are packaged in one easy to use and durable plastic case. 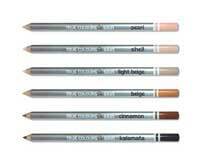 By using these 6 pencils and different combinations of each an even wider range of skin shades can be creat ed to help you make your pictures of people more real.